Last Tuesday, LDiva & I had the chance to stop by an exciting launch event for Urban Beauty United featuring their super-edgy and fashion-forward cosmetics tool collection. The brand teamed up with American DJ Harley Viera-Newton to run the UBU All Girls on Decks Campaign, which supports female DJs and puts beauty, creativity and individuality at the forefront. Their message is clearly reflected through their must-have accessories. And it’s pretty on point for our site’s platform too. I mean, can you say divalicious?! UBU’s collection of beauty tools and implements was an instant attention-grabber from the moment guests (mainly bloggers and editors) walked into the decorated space at Above Allen in NYC’s Lower East Side. Bold, badass, neon colors accented the array of brushes, sponges, applicators, tweezers and mani/pedi tools. Not only were these tools the farthest thing from being camera-shy, but they were begging to be picked up and played with! Post-event we were able to experience the tools back at the DIVAlicious office thanks to a giftbag filled with UBU products including Lasharazzi (eyelash curler), Minnie Me’s (mini tweezer set), Super Softy (XL powder brush) and Lippety Stick (lip brush). This eyelash curler is AWESOME. Not only do the soft silicon rubber pads provide comfort for your lashes, but even for your fingers! One Lasharazzi is conveniently accompanied by 2 extra hot pink eyelash pads for backup. These are my FAVVV out of my UBU collection, plus they came at just the right timing (if you haven’t already gotten the ins on my recent eyebrow rage). Very mini and super portable, each stainless steel tweezer holds its own tip identity: slant, flat, combo, and point. Say hello to the new additions to my on-the-go everyday makeup kit! 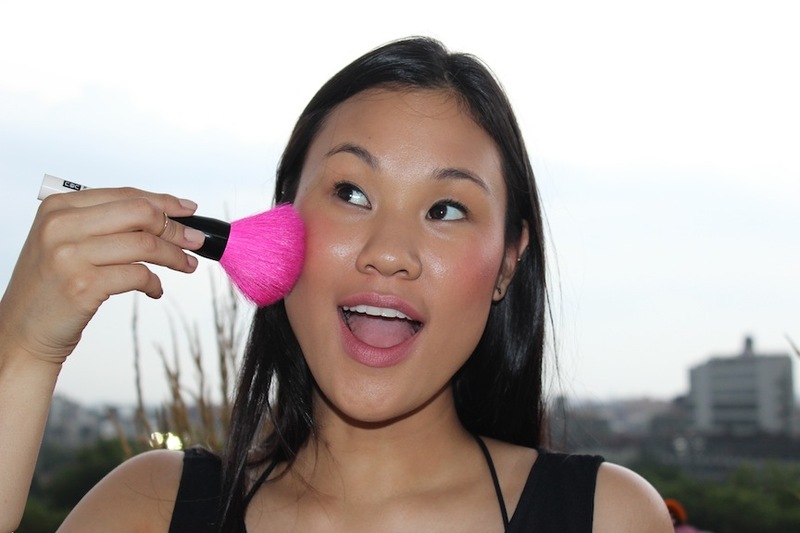 This XL brush provides lots of coverage, makes applying powder, bronzer, and blush a good time, and is just super fun for photo shoots (obvi!), . I’ll confess, lip brushes have definitely been neglected in my makeup bag. I love that I can now take advantage of full lipstick coverage — and even overcome the typical smudging and lack of precision applying straight from the bullet sometimes brings. PS, an LDIVA TIP I’ve picked up: Lip brushes are really useful for grabbing the last bits from the bottom of your lipstick tube. So when you think it’s time to toss and repurchase your favorite shade, think again. You’ve got a lot more pout to paint. I LOVE that I got to take the UBU experience home. These tools are not only delicious eye-candy for a fun rooftop photoshoot but they’re just plain functional and affordable. 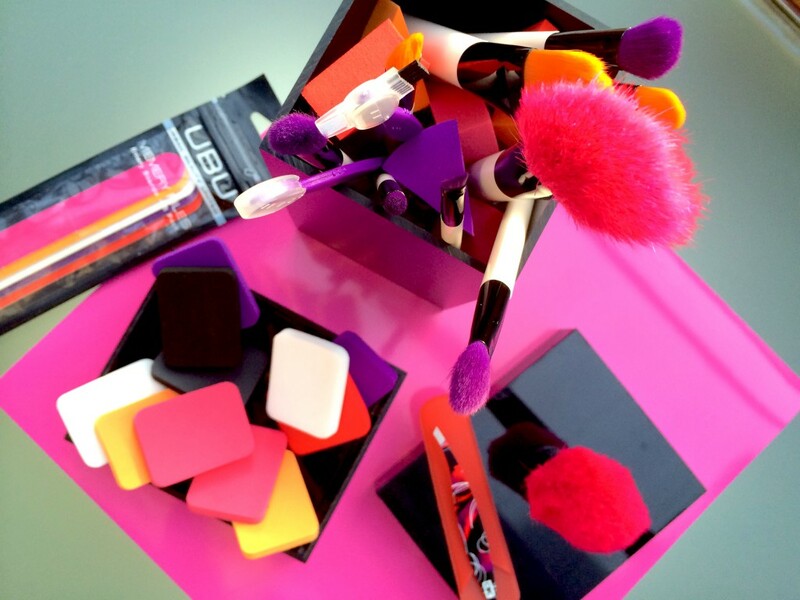 All UBU tools and brushes range from $2.99 – $16.99 (where my budget divas at?!) and can be found at Ulta and Amazon.com. Note: This post is not sponsored. Samples were provided at event. All thoughts are unbiased and my own.